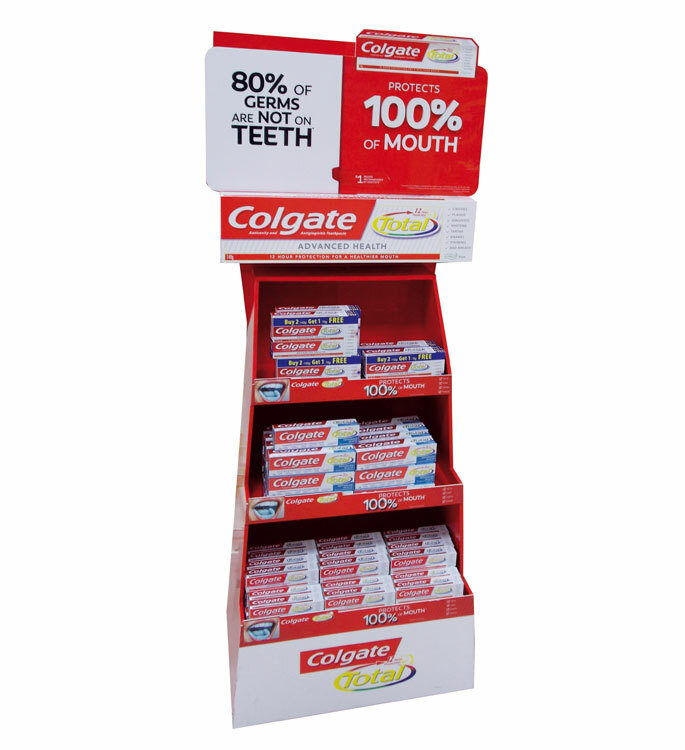 Colgate Total recently rolled out this eye-catching floor stand display in modern trade outlets across India. 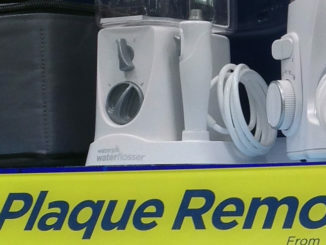 The sleek and compact unit was conveniently placed in the personal grooming section of hyperstores and supermarkets. Colgate Total’s advanced formula protects 100% of the mouth which was clearly conveyed on the header and shelf lips. 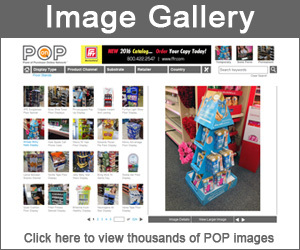 The display merchandised single and BOGO products. 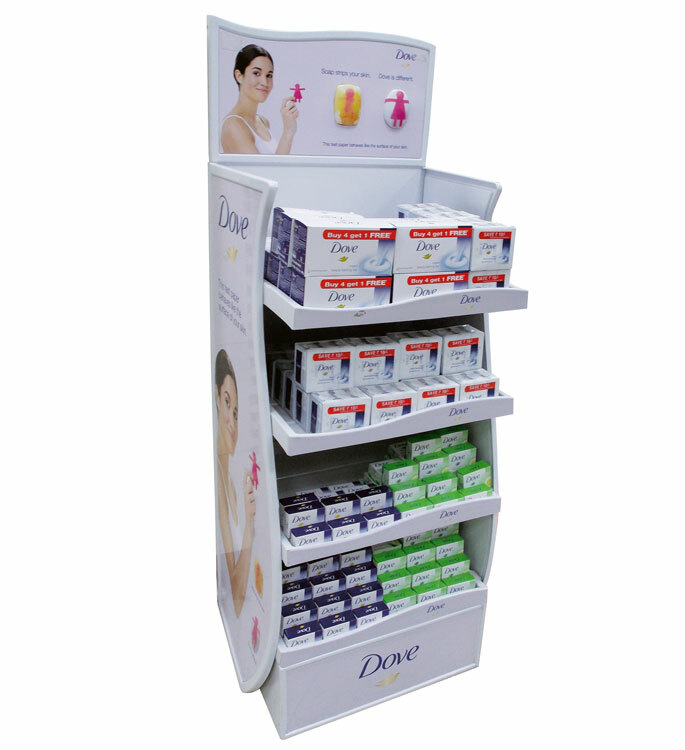 Dove Moisturising Bath Soap is making an off-shelf presence in modern trade chains with this sleek floor display. The header and side panels delivered the marketing message which consisted of a female model showing the benefits of using Dove soap. 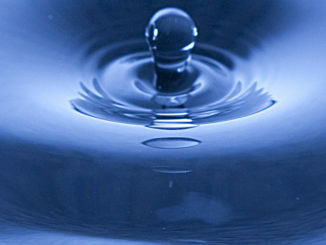 Graphically, the Dove advantage is demonstrated using soap replicas which were mounted to the header. In addition to a buy 4 get 1 free pack, the display merchandised several other single bar Dove variants. 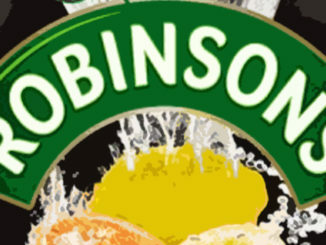 Pringles, the popular potato wafer brand from the house of Kellogg’s, recently rolled out 1000 counter displays at premium locations such as airports and cinemas. 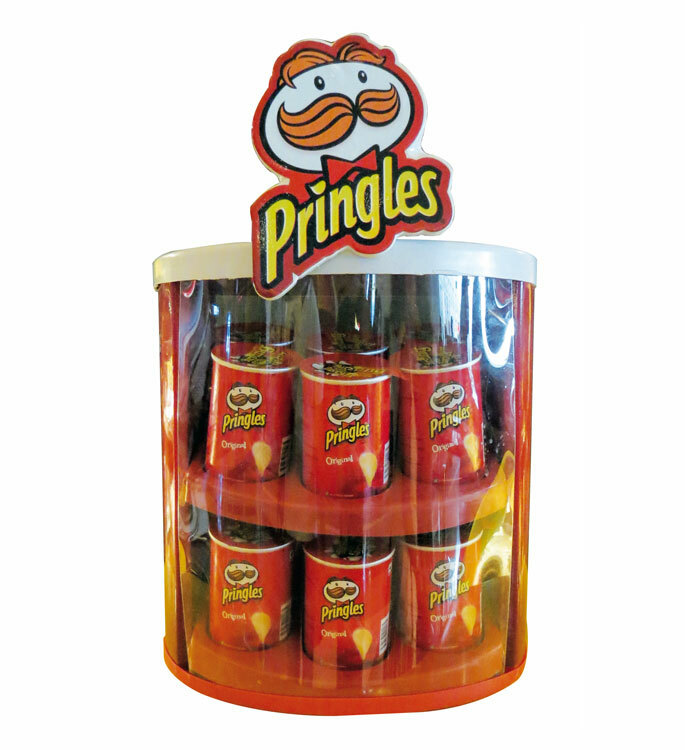 Designed and manufactured by Sab Creations, the Pringles CTU (Complete Transparent Unit) was specially designed to provide stocking and product visibility in high traffic locations. 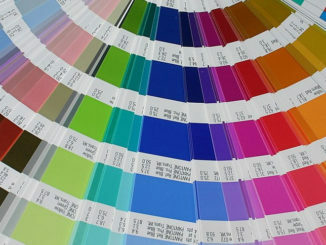 The displays were produced using a thermoformed structure with a clear acrylic front. 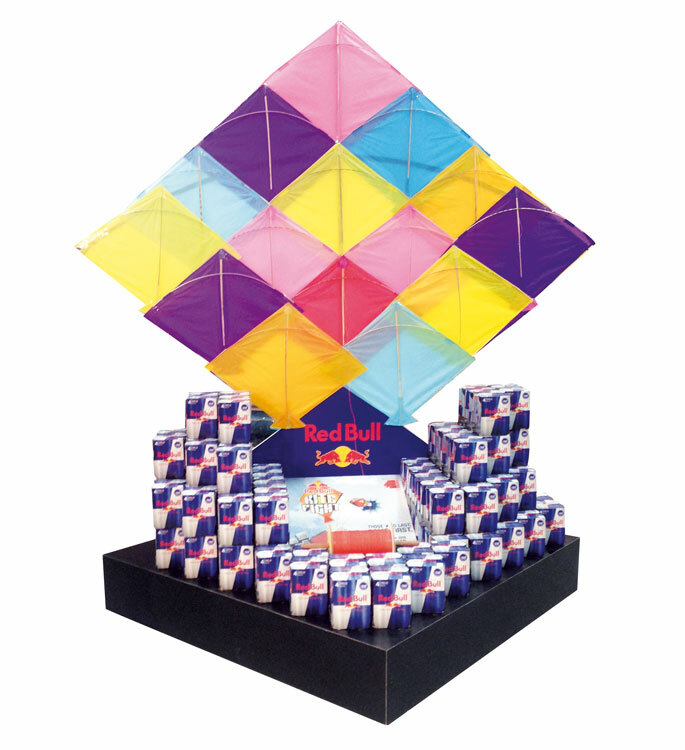 Popular energy drink Red Bull recently launched this in-store display as part of its call- to-action for the Red Bull Kite Fight, a participatory event which Red Bull India conducted in Ahmedabad. The displays were designed to celebrate the kite, a two thousand-year-old invention, and find the most talented kite flyer in the country. Each event participant was given 5 kites and had to survive until the very end……making sure their kite was the last one in the sky at the end of the day. 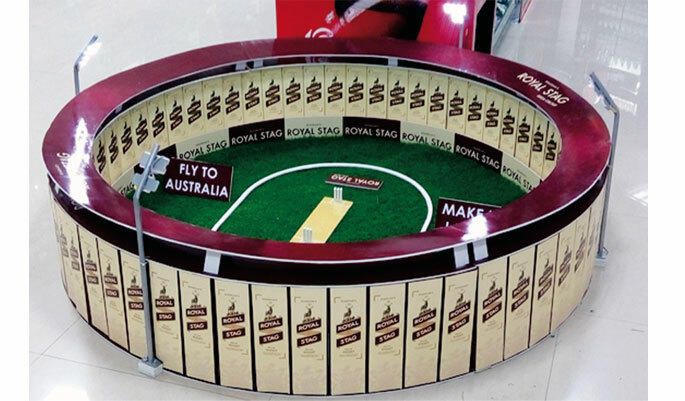 This cricket season, Royal Stag launched a new customer engagement drive and created a dummy cricket stadium on the shop floors at select modern retail outlets. What’s really unique is that these stadiums are made using Royal Stag Mono-cartons. Other great details, such as viewer stands and pitch & carpeting that looks like a lush green outfield, provide a stadium-like feel that gives shoppers the sensation of being at a cricket stadium. To top it off, they also put up mini LED floodlights. Beside the stadium innovation, the Royal Stage Mega Cricket Engagement program also selected a lucky winner who won a fully paid trip to Australia to watch a cricket match in one of Australia’s best stadiums. It’s a brilliant initiative to give legs to the on-going ‘Fly to Australia – Make It Large’ campaign. Amrutanjan recently conducted a massive market research campaign across India to reposition itself in the healthcare category. 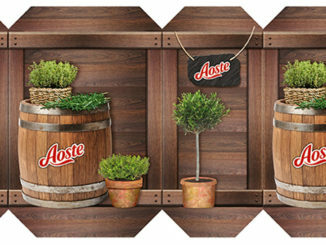 Overhauling its corporate and category identity, category positioning and packaging, Amrutanjan used its rich heritage to bring a fresh approach to the brand using the tagline and visuals of pure healthy essence. 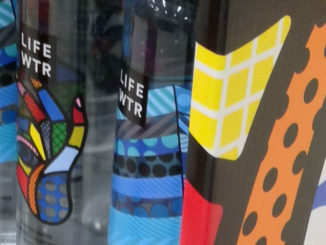 The brand celebrated its makeover in store with this floor display that showcased several of their flagship pain balms. 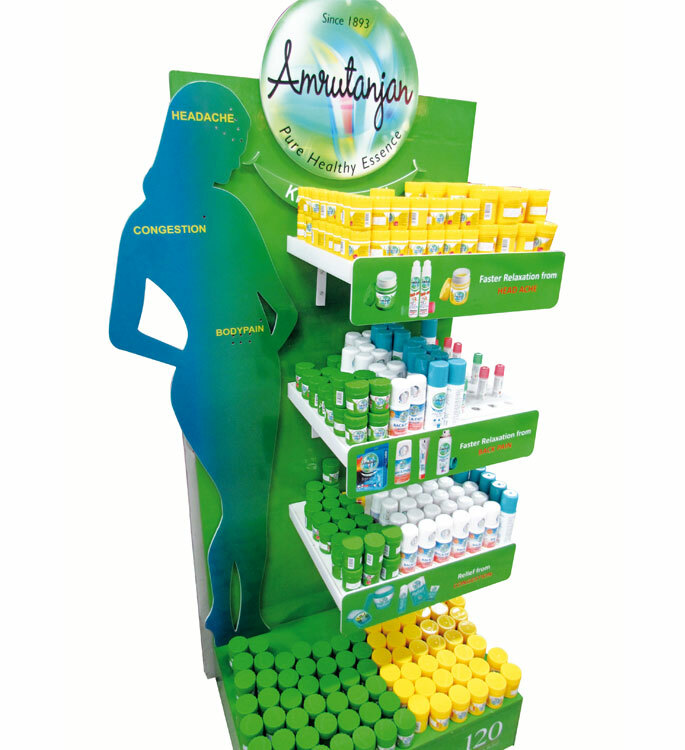 In addition to including corporate colors, a die cut female figure was used to educate shoppers on product benefits and uses.